Level of Difficulty – MediumHigh. 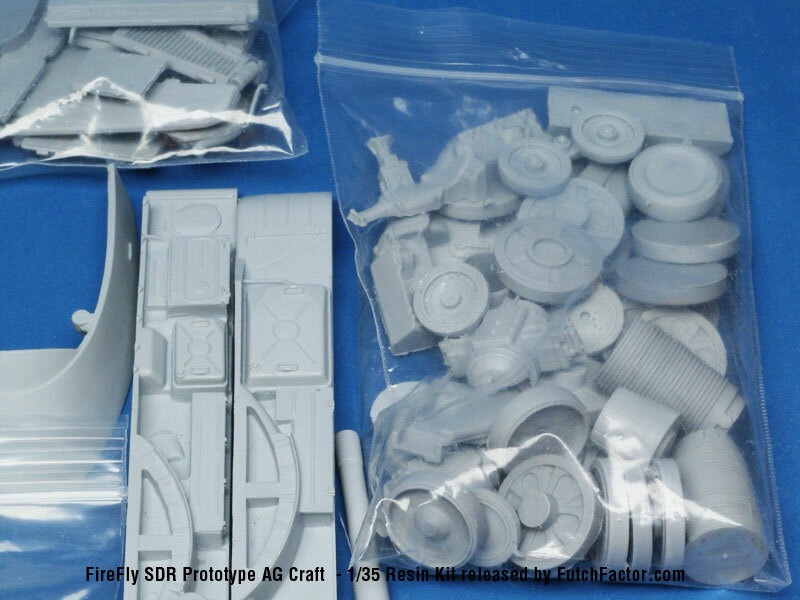 Resin parts are easily located but requires extensive cutting up of required donor kits. This is an open box review. The number of parts in this resin kit is amazing. There is a nice balance between level of detail and ease of assembly. Everything is well laid out and very clear in the 14 page instructions. There is some minor flash but looks easy to clean up. Seam lines look good and round parts are round. I only spotted a few air bubbles but these look like they are on faces that won't be seen. Looks like it will go together fairly easily. 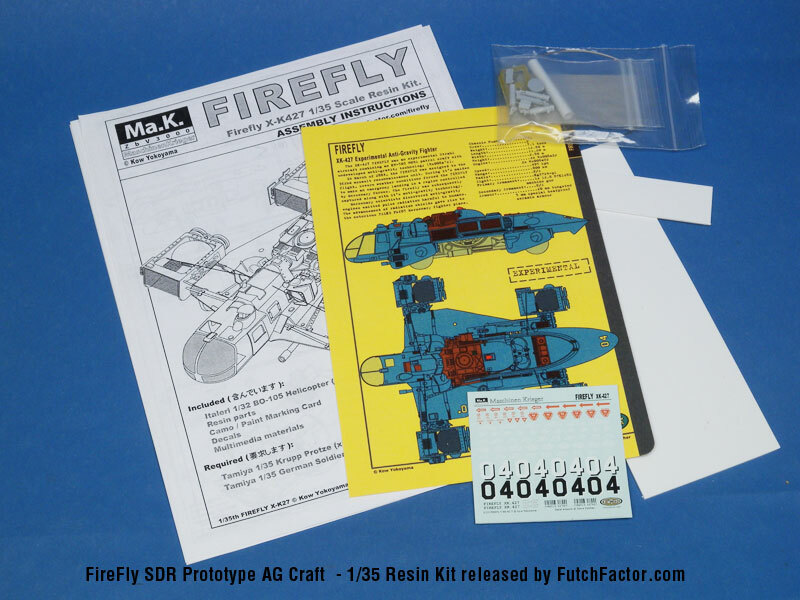 Visit http://futchfactor.com/firefly/kit.html for further images and examples of instructions. 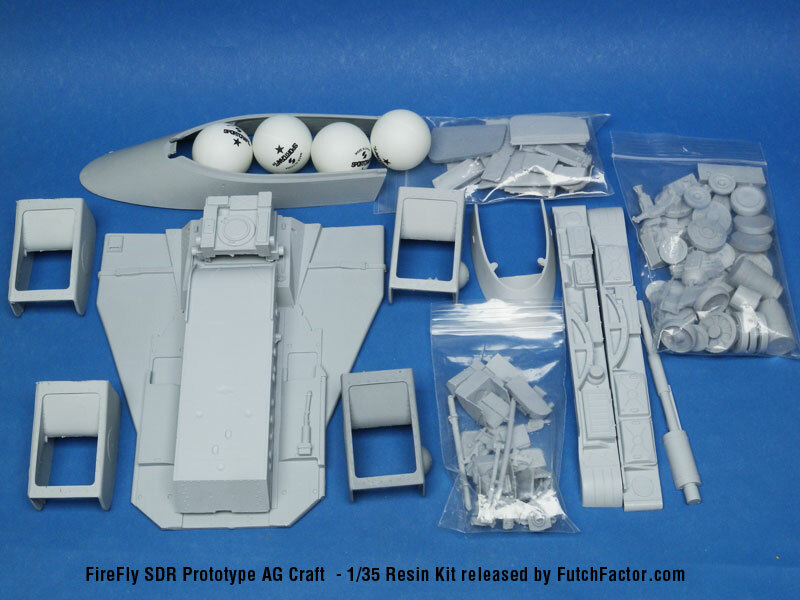 Visit http://roboterkampf.com/html/mak/alpha/firefly.html for more images of Kow's original Fiirefly and Jason Eaton's fantastic buildup.